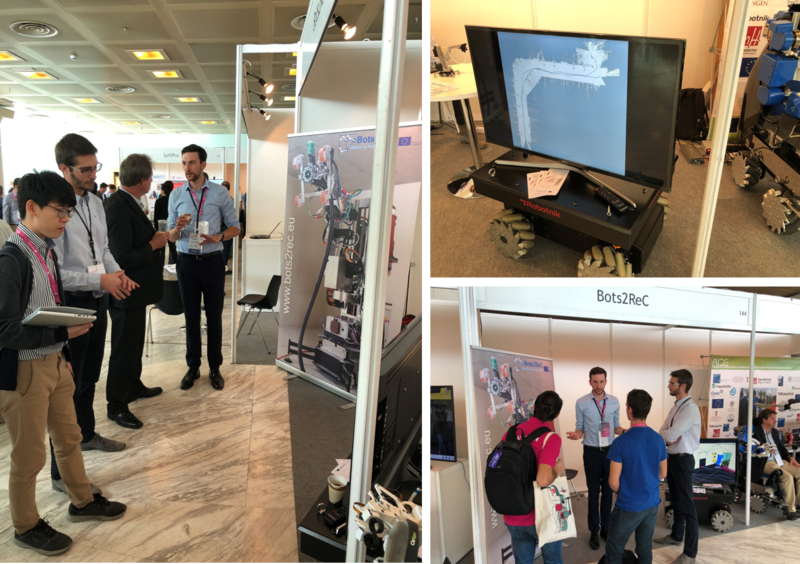 In the first week of October, the IROS 2018 conference was held in Madrid as one of the leading conferences in robotics and artificial intelligence. The entire event was under the vision "Towards a robotic society". Among the 3000 robotics fans were three developers of the EU project Bots2ReC, who presented their project at one of the 150 booths. Over these days, the developed concepts and future challenges within the project could be discussed with the expert public and analyzed in detail. All in all a successful event for the marketing of the project idea and a good source of inspiration for further technological developments.